Jelly Pots Holder Double | Livefood UK Ltd.
Funky modern Perspex jelly pot holder designed to fit Pro Rep jelly pots, but can also be used with other brands. 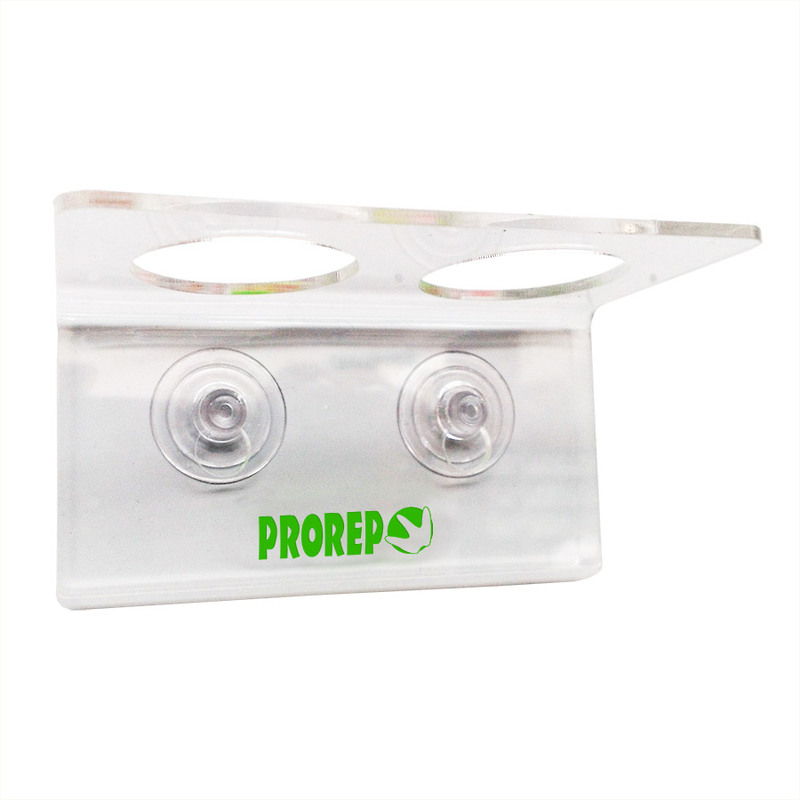 Featuring strong suction cup attachment, allowing secure vivarium mounting, ensuring that the pots remain in place and are not knocked into the substrate. Easy to position, easy to clean.